Standing desks; it only seems like yesterday that these pieces of office furniture were feted as the future of healthy working practices. No more back pain, no more obesity, no more stress and anxiety, you might even win a Pulitzer Prize, like Philip Roth. It is true that ever more sedentary lifestyles are leading to increases in obesity levels in Australia. Obesity can certainly be combated by walking a little more around the office every day, or by standing rather than sitting, so standing desks seem a natural choice. It is also true that increasingly pressurised working environments are putting significant strain on Australia’s workforce. Some have argued that by standing rather than sitting, we could alleviate some of the psychological and emotional issues we face in the workplace. However, before you go throwing away your standard office chair and desk in favour of a trendy standing unit, there are a few things you should know. This is everything you need to know about standing desks. It should be noted that standing desks are not all bad. There is significant evidence to show that they can have a positive effect on health, in a variety of ways. All of this, it must be agreed, is very, very good indeed. Breast cancer, for example, is the fourth most common cause of death in Australia each year, and it is predicted that new cases will affect 18,087 females and 148 males in 2018. Surely anything which helps to turn these scary numbers around is a good thing. Furthermore, 11.2 million Australians are overweight, which represented 63.4% of the population in 2017. This obesity epidemic leads to strain on the health service and can be difficult to combat on an individual level, due to the pressure of the modern working lifestyle. If a standing desk can help to bring this down, surely it is a positive addition to the office. It is not all bad news. Australia has one of the lowest rates of heart disease in the world, but if standing desks can help to bring this rate down even further, surely they should be viewed in a positive light? The answer is, of course, yes. But let’s look a little closer at the reams upon reams of reports which have been written about standing desks, as many of them contain a common thread; alternation. Most of these reports call for alternating sitting and standing, and for mixing around two hours a day of standing into the working routine. This is not quite the same as doing away with sitting desks altogether. Switching to a standing desk for longer than a couple of hours a day can bring with it health problems of its own. 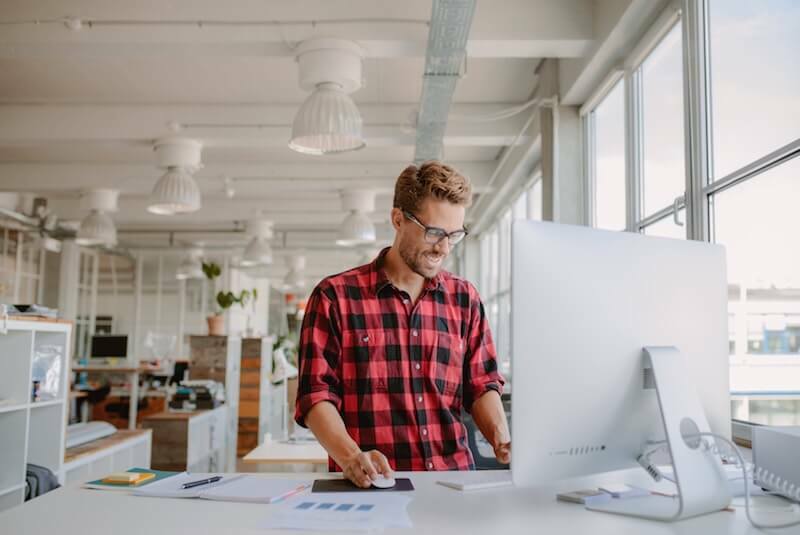 A study conducted by Curtin University in February 2018 showed that standing desks might not be all that they are cracked up to be. The study highlighted significant increases in pain and discomfort after long periods of using a standing desk. This pain and discomfort were not limited to the back and neck – two areas traditionally associated with office work-related discomfort – but instead affected the whole of the body. This pain and discomfort was in addition to problems with mood and mental state, as well as reaction times, seemingly harming the theory that standing desks increase not only productivity, but also positivity and psychological well-being. “Standing desks aren’t the silver bullet, they’re not the solution to everything. However, they can be part of the solution for many people,” the Association’s occupational health chair, David Hall, said. “[Instead] we advise people to mix [sitting and standing at work] in an intuitive, natural way, much like how we’d use our body on the weekend.” This theory is supported by StartStanding.Org who recently published an article claiming Standing at work is associated with less neck and back pain. So, standing desks are not the direct route to healthy, happy, effective working practices, but neither are they to be discounted. Instead, it is vital for us to introduce a new, more dynamic, approach to office work; a procedure in which the well-documented dangers of sitting in a chair for 8 hours a day are removed, and in which standing desks do have their part to play. It is in this more varied office landscape that the beanbag can play a significant role. By combining beanbags with standing desks and other, more progressive, seating arrangements, we can take serious steps towards protecting the health of our workers. This will also have a healthy impact on the nation’s economy. By improving the position of the neck, beanbags can actively work to reduce instances of headaches and the mental fatigue that comes with this. Poor posture can ravage the body, particularly over more extended periods. Poor posture can be assuaged by using a beanbag chair in the office. As well as improving the health of the neck joints, beanbags chairs also support the function of other joints and muscles, helping to reduce pain and to make workers more comfortable as they go about their day. Constructing office furniture in bulk is an incredibly resource intensive exercise, and can exact a heavy toll on the environment. Beanbags, in contrast, can be made from recycled materials and are far more kind to our planet. If we are looking to move towards a more dynamic office, then beanbags are the way to achieve this. Easy to store, to transport, and to install, beanbags could provide the solution required for the effective workplaces of the future. Are you considering a shake-up in your office? 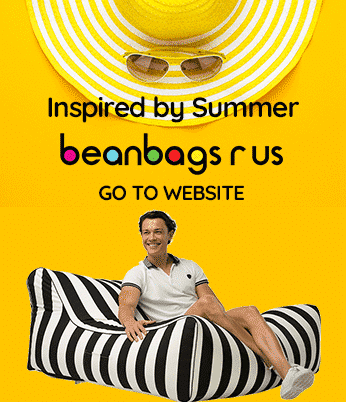 Take a look at our office beanbag products and find your perfect seating solution.